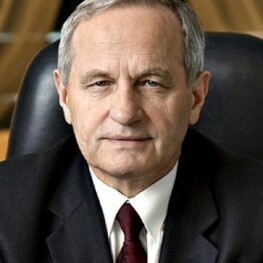 Co-originator of the Polish Defence Doctrine in the conditions of strategic autonomy during the 90s and the main author of ‘The Plan of Defending the Republic of Poland’ and ‘Defence Strategy of the Republic of Poland within the conditions of NATO membership and Political and Strategic Defences Doctrine’. First Polish representative to NATO for nuclear policy and strategy as well as Undersecretary of State in the Ministry of National Defence. The Advisor to the Minister of National Defence. From 1993 to 1994 nominated as a Deputy department director in the National Security Bureau and later director of the Department of Defence System in the Ministry of National Defence. Head of Polish mission to Neutral Nations Supervisory Committee (NNSC) in Korea and Deputy Head of Mission to OSCE in Georgia. In 2010 – 2015 Head of the National Security Bureau.